Smarties, mark your calendars! 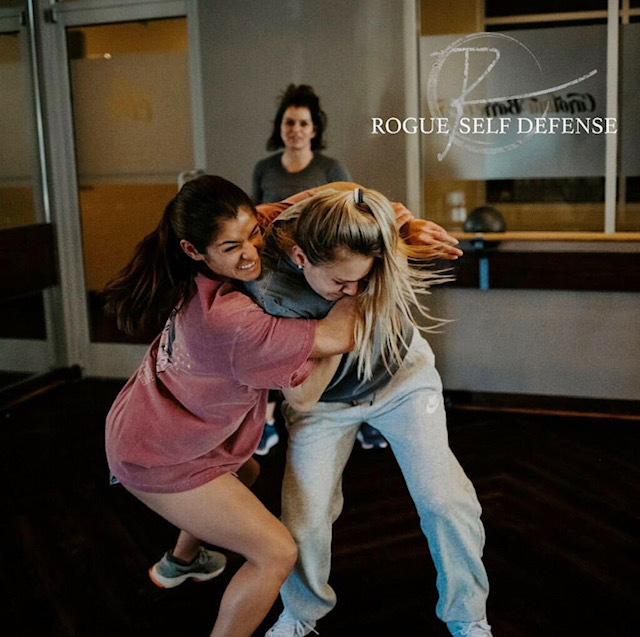 April 27th Carolina Barre & Core is bringing Rogue Self Defense to the studio. This course is perfect for EVERY WOMAN. Think about it — parking lots have become a danger zone! Learn to protect yourself. Do you have a daughter getting ready to go away to college? … in High School? …visiting from college? Are you a young adult? Basically, if you are a female, this class if for YOU! Thank you Carolina Barre for bringing this seminar to Charlotte. *CBC 6 and 12 month Core Members receive $10/ use code MEMBER at checkout. *Space is limited and this workshop is non-refundable. Click here to register, then click on #MeFirst Seminar or call Amity (704) 907-3333. Meet Rogue Self Defense. Krav Maga. Fitness. Community. There is no better time than now to take control and put your life and the lives of your loved ones, first. The #MeFirst program is designed to equip and empower women of the 21st century with a practical approach to self defense. Women are disproportionally targeted and taken advantage of by predators, and sadly, women are most likely to know their assailant than not. This creates more emotional and psychological barriers to overcome before you take action. #MeFirst is designed to equip you with tools to help you navigate those grey areas and put your safety first. Each seminar focuses on three key elements: communication, situational awareness and realistic, self-defense training. It’s important to identify effective verbal and nonverbal communication and the impact of it on potential violent encounters. We’ve all had discussions about locking car doors, mace, parking in well-lit areas, and avoiding alleyways. However, situational awareness goes much deeper including: paying attention to the deeper social dynamics of our personal lives; discussing how to identify the alpha males around us and discern opportunities for predatory behavior; and avoiding or handling those encounters. Each seminar will focus on different physical attacks with simple, principle-based Krav techniques to combat them. Mission: We want to infuse our community with awareness of the reality of violence and the climate of current events. Provide them with the ability to defend themselves and their loved ones. Empower them to take control of their life, health, and community, through daily fitness activities, Krav Maga principles, and continual community involvement. Congrats to our Smarty Winners! Fitness Friday: Gift FLY. Get Credits for YOU!